(center row, 4th from left to right): Orange Soil & Water Conservation District Supervisor Daisy Morales (white ball cap), Orange County Commissioner Emily Bonilla, Osceola County Commissioner Peggy Sandoval Choudhry and Orange County Commissioner Maribel Gomez Cordero, in whose district Split Oak Forest is located. 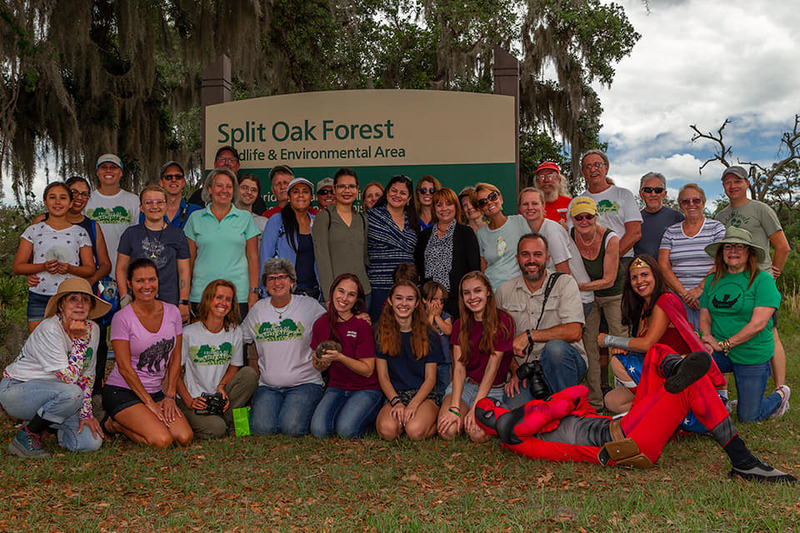 Supporters and superheroes alike (Wonder Woman and Deadpool) joined to learn more about the forest. Photo: Kimberly Buchheit (Facebook). ORANGE COUNTY, Fla. (FNN NEWS) – Orange County District 4 Commissioner Maribel Gomez Cordero, Orange County District 5 Commissioner Emily Bonilla, Osceola County District 1 Commissioner Peggy Sandoval Choudhry and Orange Soil & Water Conservation District Supervisor Daisy Morales jointly celebrated Florida Gopher Tortoise Day at Split Oak Forest in Narcoossee Wednesday. 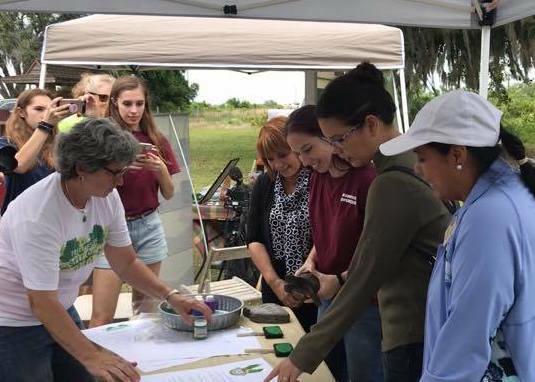 The four gathered with supporters–and even a couple of superheroes–to love on the gopher tortoise and learn more about it as well as Split Oak Forest. 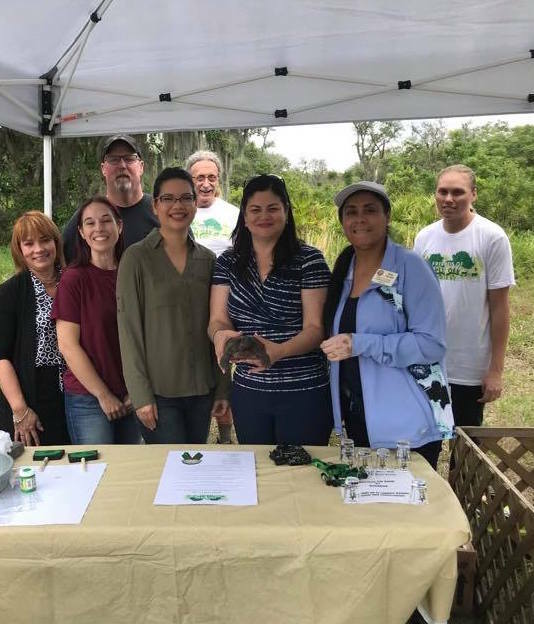 Orange County Commissioner Maribel Gomez Cordero (left), Orange County Commissioner Emily Bonilla (center left), Osceola County Commissioner Peggy Sandoval Choudhry (center, holding tortoise) and Orange Soil & Water Conservation District Supervisor Daisy Morales (right) meet a gopher tortoise up close. Photo: Supervisor Daisy Morales (Facebook). Photo: Supervisor Daisy Morales (Facebook). Split Oak Forest is marked for large residential development, but environmental activists have reached out to their elected officials, including the three women in attendance as well as former Orange Soil & Water Conservation District Board Chair Eric Rollings, to raise awareness about the area in a fervent effort to preserve it. As long as a tortoise lives on the site, developers cannot build on it, hence the significance of day.